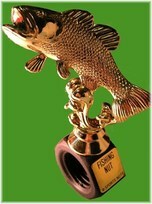 Sports Nuts, Inc. was Started to Acknowledge Truly Dedicated Sports Enthusiasts and To Reward Them For Their Efforts. Our Gift Line Simply Says That In the Eyes of the Giver, The Recipient Is One of the Best In a World Full of Nuts. They Are One of the Best at Their Sport or Hobby. It Is the Ultimate Compliment For Their Unending Efforts To Be the Best They Can Be. They Appreciate the Fact That Someone Salutes Them. 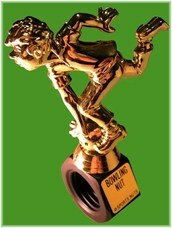 Sports Nuts, Inc. Began As a Small Operation in Central Florida Which Now Has Products Nationwide. Sports Nuts, Inc. Offers a Truly Unique Personalized Line That Covers Over Fifty Sports and Hobbies. Sports Nuts, Inc. Is a Quality Product Line with the Lowest Shipping Rates Possible, a Simple Return Policy with Satisfaction Guaranteed, and Telephone or Email Assistance When Needed. There Web is Full of Generic Products. Sports Nuts, Inc. Offers Something Unique and Personal.